Locks are involved in almost all areas of modern life. Just as you have a lock on your front door, you have a passcode or lock on your laptop so nobody messes with your programs. You have a lock on your iPhone, you lock your car and you have locks on your kitchen cabinets so your two-year-old stays out of trouble. If you happen to forget your Facebook password, we can’t help you there, but if you lock yourself out of your home, we are the company you need to call. But we are also here for a number of other reasons, not just to save your skin should you find yourself locked out of your car. There are a number of situation in which Bostons Locksmith, your emergency locksmith, can save the day. Here are just a few. We are willing to bet everybody reading this article has lost or misplaced a key at some point in their life. Don’t deny it. You may have thought it wasn’t a big deal at the time, but it is always a risk if somebody shady finds the key. In fact, you could lose your house key right in front of your home and whoever finds it might be tempted to use it. Thanks to technology, locks have progressed rather nicely over the years. Modern locks are pretty sweet and add security as well as ease of use. Still, even the most expensive and technologically advanced locks can fail, break or malfunction, leaving you in a bind. This is another occasion that a locksmith can help. If you have recently purchased a home, congratulations, now get the locks changed. You should even change locks if your home is brand new, you never know if there are contractors who had copies of your keys. If you have recently moved into a new office building, you will want your locks changed as well. Locks are designed to last a long time, but not forever. At some point, it makes perfect sense to change out the locks on your house. Over time, locks may become loose or harder to use, these are indications that you need to pony up for some new locks. Besides, you will be impressed with what modern locks can do, give them a try. Winters in Boston are cold and harsh. In your rush to get your car door or front door to your home open while snow and cold are blowing in your face, you break the key off in the lock. You might be embarrassed, but it happens to the best of us. All you need to do to resolve the problem is call a locksmith. Yes, even in the middle of winter in the middle of the night you can count on us to resolve your issues. Accidentally locking yourself out of your car or house doesn’t just happen from nine to five on the weekdays. Instead, it happens at inopportune times like when you’re already late for work. Fortunately, we have a locksmith 24 hours a day to help you get back into your home or car. 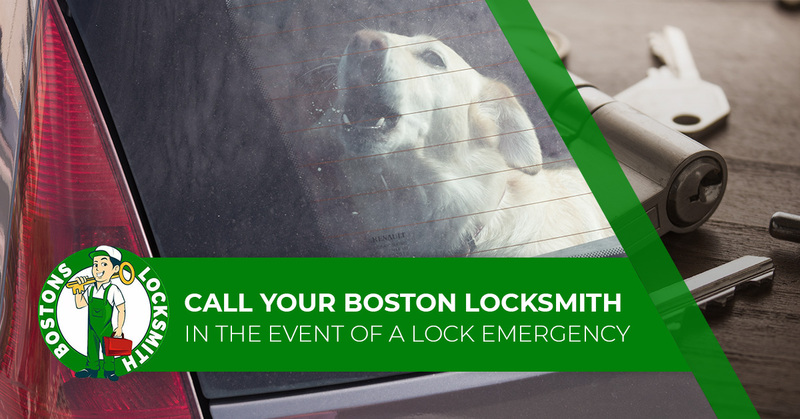 Call Bostons Locksmith today.